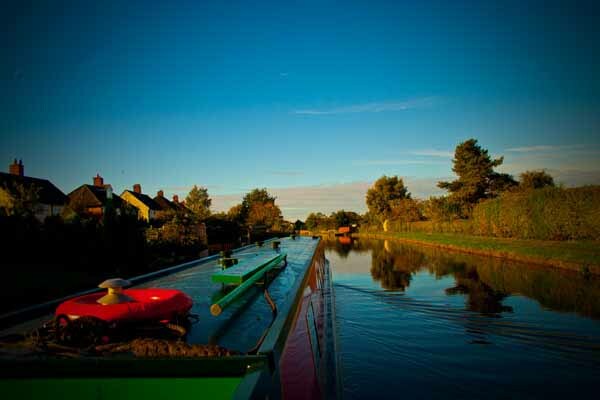 This circular canal holiday cruising route is a great way to see the countryside of Cheshire, together with some of our finest towns and cities. As you carry on, you will come to the first of 3 tunnels, Barnton tunnel. Next you will reach Saltersford tunnel and finally Preston Brook tunnel, in all there is over an hours worth of exciting tunnel cruising on this route. 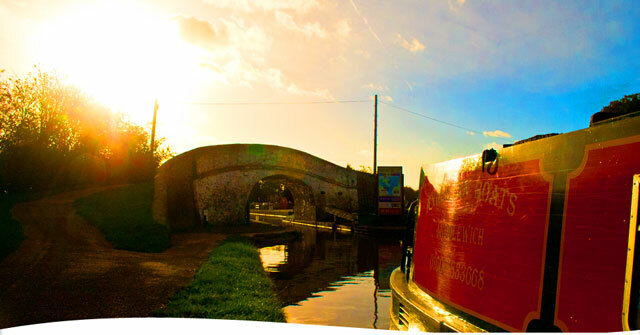 The holiday route continues on to arrive at one of our oldest canals, the Bridgewater. This travels high above the Manchester Ship Canal heading for the centre of Manchester. 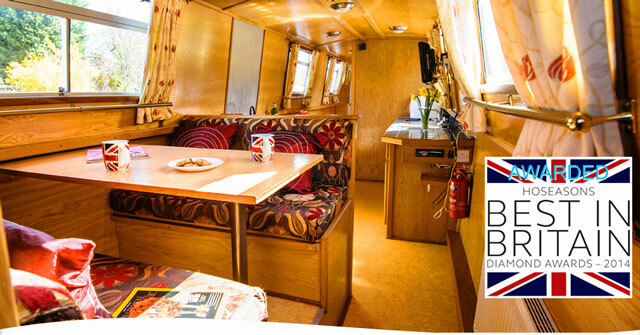 A detour is possible here to visit Wigan, famous for its pier and several fascinating museums. On the way, you pass over the Ship Canal on an aqueduct that swings open to allow ships to pass under. Back on the route in Manchester, the cruise continues by ascending through the flights of locks of the Ashton and Rochdale canals, then continues onto the Peak Forest Canal. 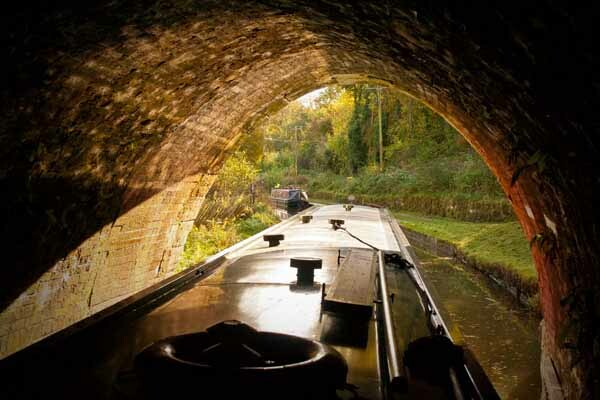 This is really rural, with tunnels, aqueducts and plentiful locks before arriving in Marple. 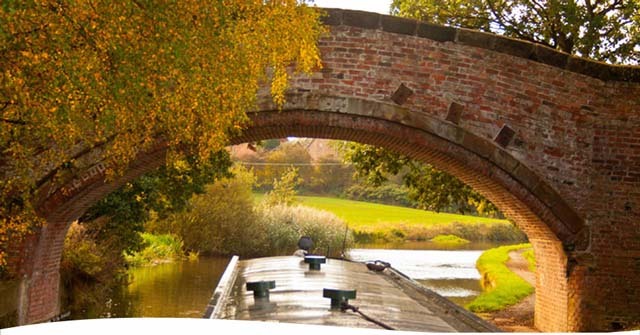 Here we join yet another different canal, the stunning Macclesfield, noted for its elegant stone bridges. 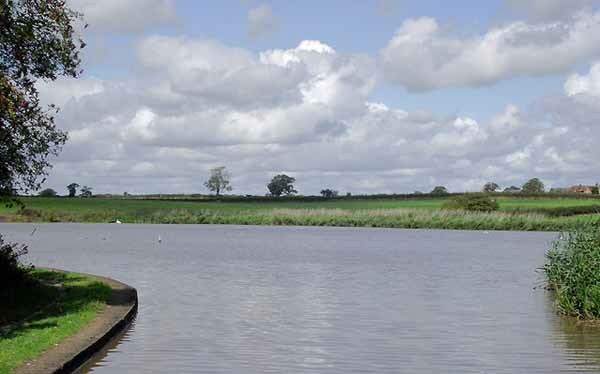 Another short interesting detour is possible here to visit the astonishing Bugsworth Basins and the pleasant little town of Whaley Bridge. 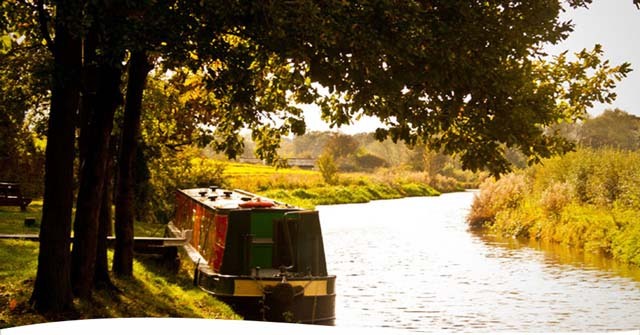 The Macclesfield Canal has a different character again, with lots of really open countryside interspersed with small towns. 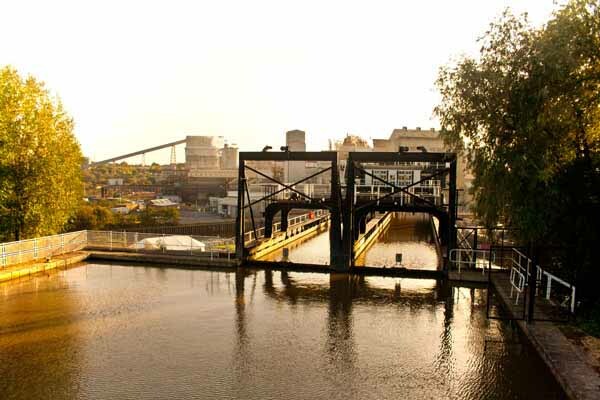 There are many relics of the industrial past to be seen on this canal, including a working silk mill. 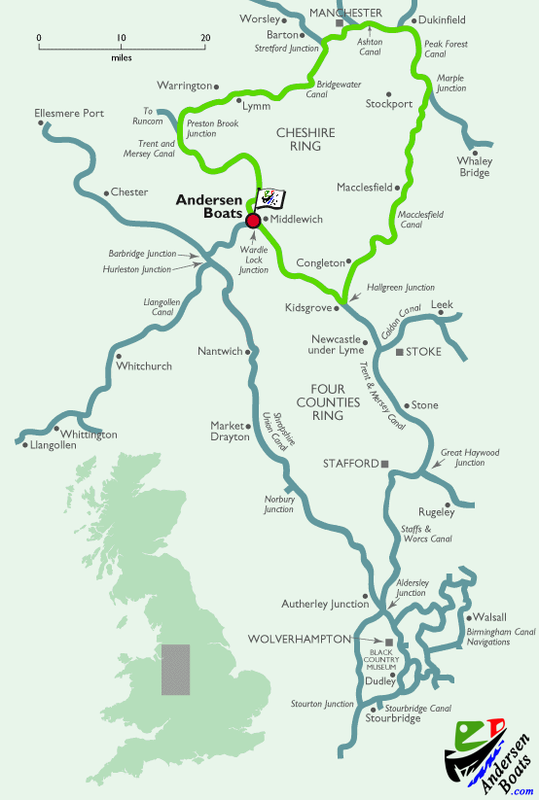 Over another aqueduct, the route descends to join the Trent & Mersey Canal, then a lengthy series of locks takes up back to the end of the cruise at the Andersen Boats base in Middlewich. At Daresbury you can visit the church where Lewis Carroll's father was rector, its stained glass depicting scenes from "Alice in Wonderland"; Lymm has some nice shops and pubs and an unusual 17th century cross; whilst at Dunham Massey there's a handsome 18th century mansion belonging to the National Trust just a stroll away from the canalside. Manchester's broad suburbs begin to crowd in on the canal beyond Altrincham. You must leave your preconceived images of Manchester as a rain-soaked cross between Coronation Street and a Lowry painting at home, for this is one of the most exciting cities in the land, determined to be as much in the forefront of the twentyfirst century as it was in the nineteenth. 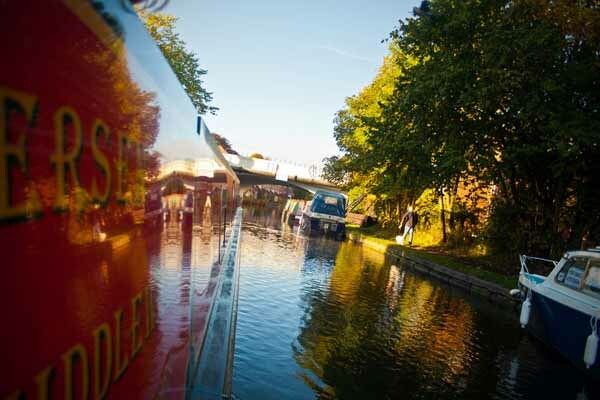 Canal travellers can moor within the urban heritage environment of Castlefield, centred on the ambitious Museum of Science & Industry and within a stone's throw of Granada Studio Tours where you can sample the delights of the 'Rover's Return' for yourself. 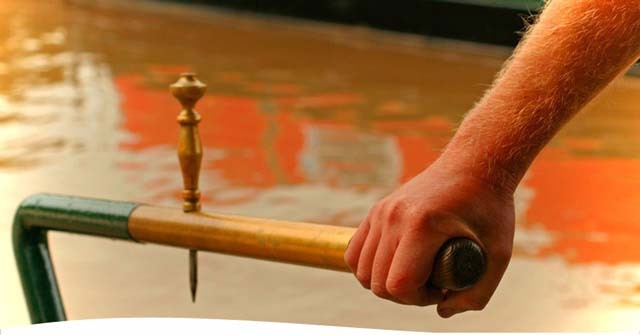 Beyond Castlefield you move on to the Rochdale Canal and negotiate nine hefty wide-beam locks in close proximity as you pass right through the middle of Manchester. All around you Mancunians go about their daily business and you may catch glimpses of the city's smart trams, which lend a Continental air to the proceedings. 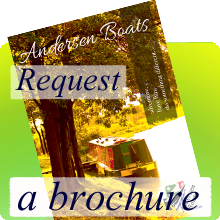 More decent moorings are available in and around the Piccadilly Village development on the Ashton Canal. 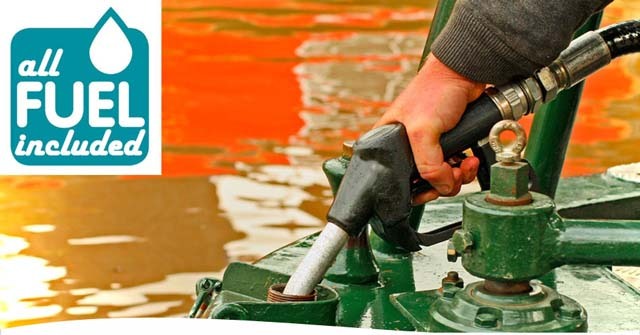 Then you face a long, but far from tedious climb out of the city centre through a flight of eighteen locks which lift you up towards a Pennine horizon of moorland vistas. At Ashton-under-Lyne you pass on to yet another canal the Peak Forest and gradually the mills and factories are left astern. 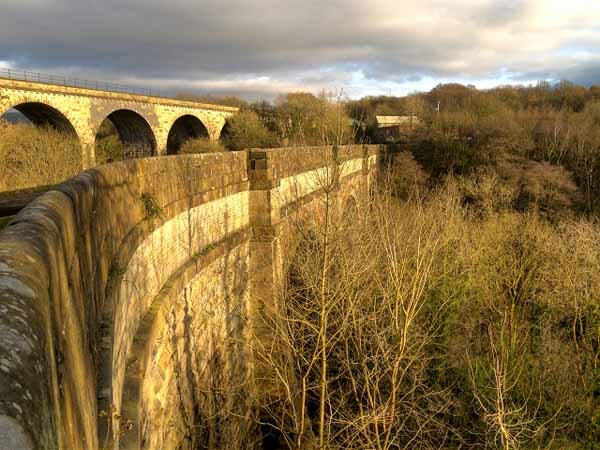 Near Marple a soaring aqueduct carries you at a vertigo inducing height above the River Goyt before the canal climbs through another awe-inspiring flight of sixteen locks to meet the Macclesfield Canal. The Peak Forest Canal continues high up along the valley side to its Whalley Bridge terminus, a marvellously dramatic scenic detour if you have the time. 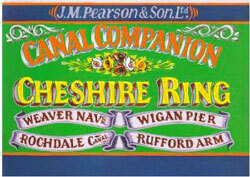 The Macclesfield Canal oozes Pennine character. The feel of the North prevails, whether it be expressed by nature in the high fells that ride away to the east, or by man-made mill towns bisected by the high embankments and deep cuttings of the canal. 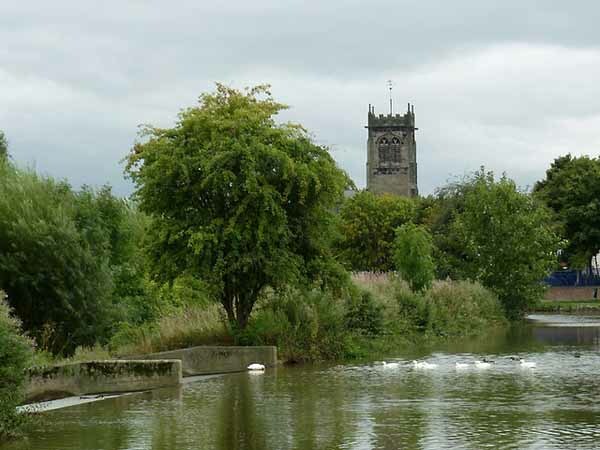 Bollington is one of these mills towns, a pretty stone built community of climbing terraces and friendly corner shops. 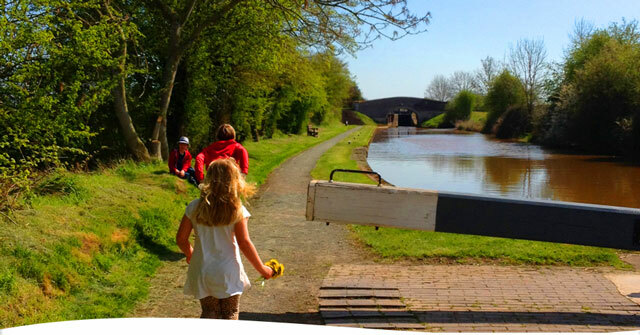 The canalside Discovery Centre houses a shop and information counter and bicycles can be hired if you fancy a change of transport. A few miles further on, Macclesfield itself is famed for the manufacture of silk. There are two good museums; Paradise Mill which celebrates the silk trade; and the Heritage Centre which illustrates the history of the town and traces the story of the Sunday School movement. Lonely dry-stone wall country separates Macclesfield from the next mill town of Congleton. 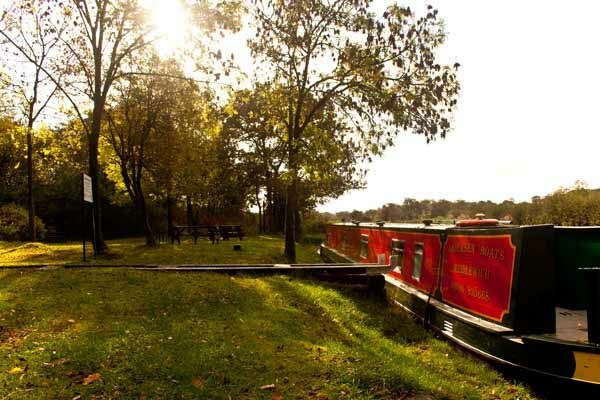 Twelve superbly engineered locks take you down under a looming mountain known, appropriately enough it often seems at this rainswept edge of the Pennines, as The Cloud, and more aqueducts carry you above more voluptuous valleys. Under the shadow of folly-topped Mow Cop, a footpath leads across the fields to gorgeous Elizabethan half timbered Little Moreton Hall, another National Trust property within easy reach of the canal. 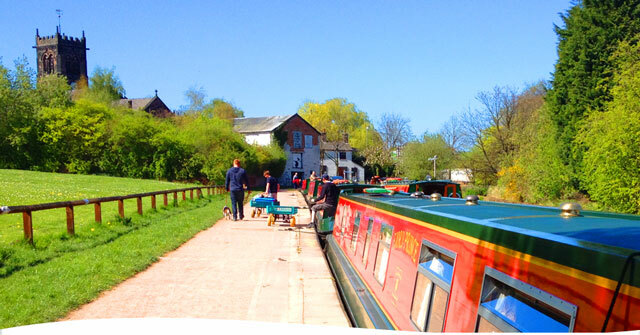 And then, at Kidsgrove, on the northern tip of The Potteries, you begin the last lap of your circumnavigation of the county, down Heartbreak Hill (mentioned in the Four Counties Ring itinerary) and back to base at Middlewich.